An exercise physiologist, cycling and strength and conditioning coach. 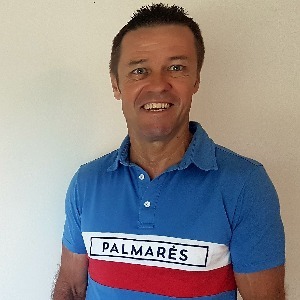 Over 30 years experience in cycling and triathlon, both as a competitor and coach. Coached athletes from intermediate to international / olympic level. Utilising both one-on-one and and automated web application (ScyclePro), coach Bubba can help any athlete improve performance and peak for key events. Exercise Physiologist, with bachelor degree in exercise science, Exercise Physiology, Biomechanics & Musculo-skeletal Rehabilitation majors. Former lecturer in health sciences at vocational / tertiary level. Former NSW u19 Triathlon Series Champion. Currently a highly competitive masters cyclist in QLD, Australia. Inventor / creator of ScyclePro, Cycle Training System. An online application incorporating cycling test protocols, physiological profile development and 100% customised cycle training plans. Athletes with power meters are preferred. Success. Coach Bubba Cooke has been notified of your message.